Completely revised and greatly supplemented edition of Guido Moosbrugger's book, "...and still they fly!". The most sensational UFO photos in the world: Authentic recordings of extraterrestrial spaceships or a brilliant hoax? 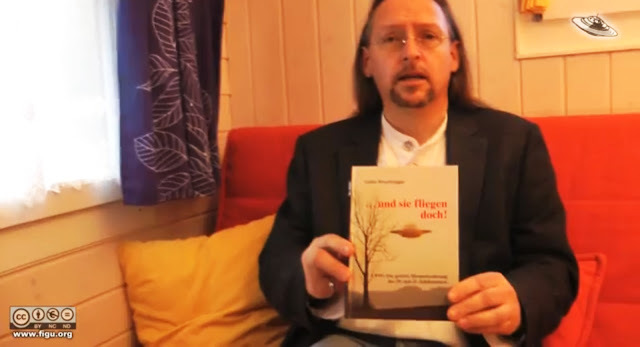 After detailed analysis, scientists and imaging experts from NASA and the U.S. Air Force are convinced that substantial evidence of the Swiss UFO contact Eduard "Billy" Meier is absolutely authentic. So we must accept that the UFOs are more than just mere fiction? For 15 years, the author Guido Moosbrugger tracked the mysterious Swiss person(Billy) repeatedly & witnessed extraordinary events in his surroundings. Today, he is convinced that "Billy" actually has contacts with extraterrestrial intelligences from the Pleiades. What the aliens taught us, why have they visited us right now, why do I care about us - after reading this book there will be no more question marks for you behind the biggest mystery of this century.